If you are on the ketogenic diet then i’m sure you have Keto Coffee on your Keto shopping list. If you have a busy schedule, though, then keto coffee can be quite the production! Plus, it often requires you to be at your kitchen counter, which can be a pain if you are an on-the go person! Or maybe you have tried other instant keto coffee products that are currently on the market that use awful coffee and an absurd amount of powdered fat. It was a pretty messy & time-consuming, mostly reserved for your kitchen counter at home. But what if you just want some coffee fast? Or want a keto pick me up at work or when you’re on the road? Of course, you have your MCT oil powder. 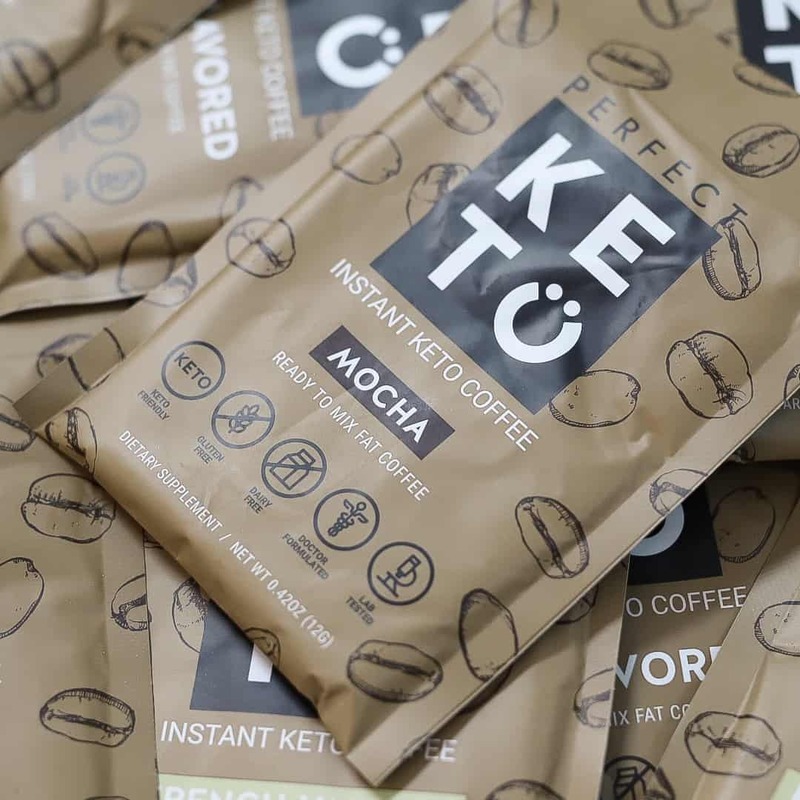 You might have seen a few instant keto coffees on the market. The coffee they use tastes like trash (not even hating). They have massive amount of powdered butter, fillers, additives and flavorings (not necessary). 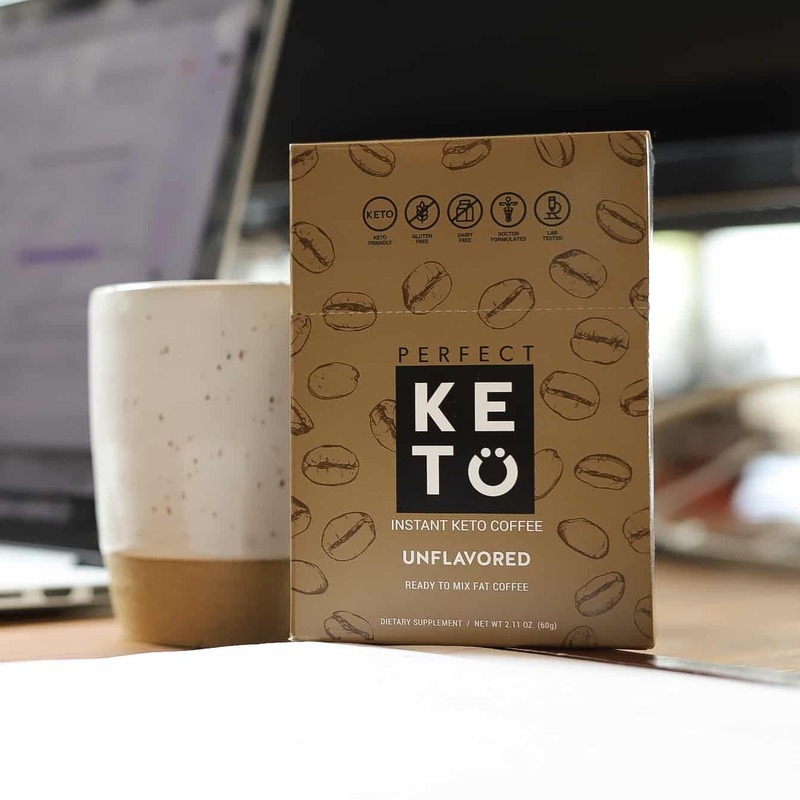 If you love the high standards of Perfect Keto, you’ll love their new keto-coffee-on-demand solution. 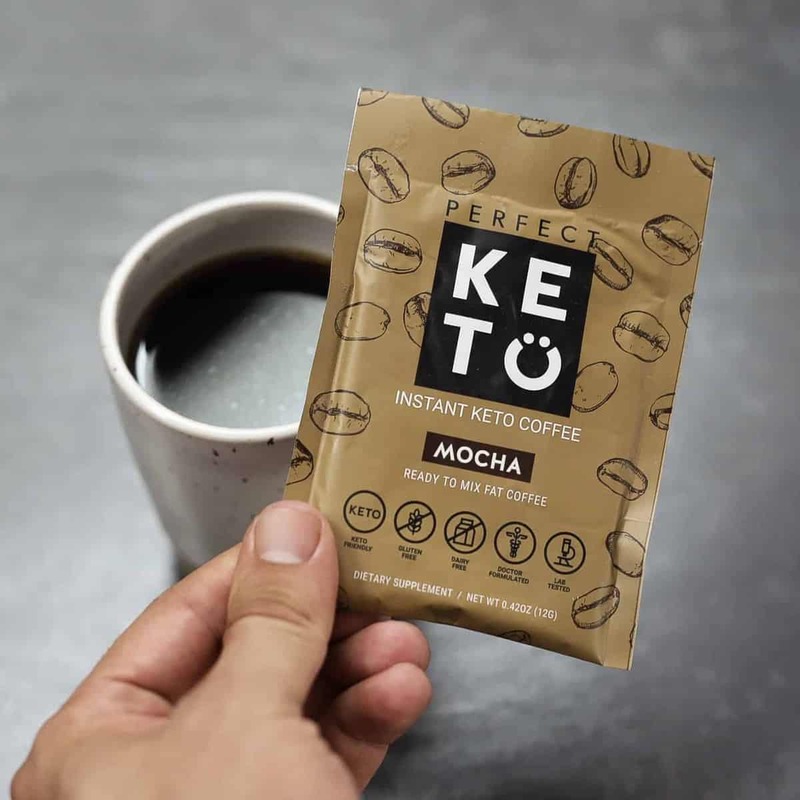 Mocha Our Mocha flavored Instant Keto Coffee combines coffee and MCT oil powder with a dusting of cocoa and stevia for a guilt-free mocha treat without the sugar or chemicals. French Vanilla Our Vanilla flavored Instant Keto Coffee combines coffee and MCT oil powder with a hint of vanilla and stevia that results in an amazing latte-like mouthfeel and flavor without the sugar or chemicals. Unflavored Add hot water for a steamy, relaxing cup of warmth and comfort or add cold water for instant cold brew any time you want it. Who would like Instant Keto Coffee? With Instant Keto Coffee, you can have a delicious, creamy and slightly sweet coffee beverage — that won’t wreck your keto eating plan — in less than 20 seconds. It’s all going down until Thursday, September 20th at midnight PST. Next Post: The Mary Poppins Returns trailer is practically perfect in every way!